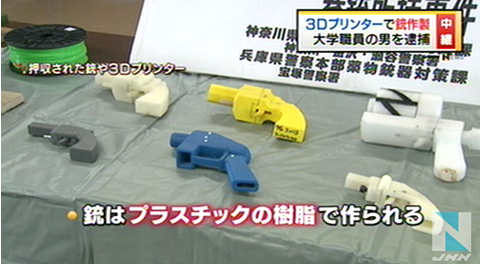 Yoshitomo Imura, a Japanese 3D printing ehthusiast, has been jailed for two years for manufacturing 3D printed guns. We wrote of Imura’s situation earlier, where he was arrested for violating Japan’s very strict gun control laws. Imura produced several weapons using a 3D printer of his own design. Imura’s design differed from earlier, more primitive pistol designs that offered only a single shot. Imura’s design carries six bullets, making the weapon more dangerous - both to others and the operator, since it has six times the chance of exploding during firing. It’s also proved quite dangerous to Imura himself, as he now faces two years in a Japanese jail. Japan works very hard to keep gun crime low and they succeed. A key part of their strategy is tough gun legislation, which was used to convict Imura.